Once here, you’ll experience a life of luxury and comfort while also having the flexibility to be as active or as restful as you wish! Your home-away-from-home begins with our nearly 300 oversized RV lots, all of which can be personalized in a variety of ways upon purchase (you can see the various site and customization options here). For those without an RV, the opportunity also exists to purchase beautiful eco-friendly 499 square foot cottages featuring stainless steel appliances, granite countertops, laminate flooring and an open layout to the living and dining room. Once settled, relax in our expansive pool and heated spa, have a drink at the poolside bar and cafe, or workout in our deluxe, fully equipped fitness center. 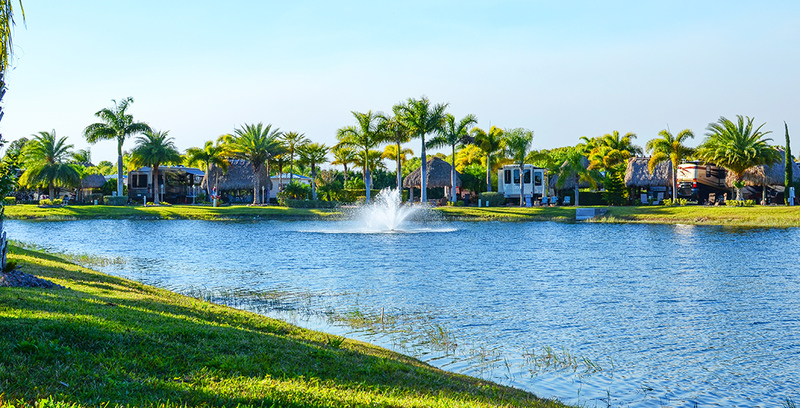 If you enjoy fishing, we’ve got five pristine lakes at your ready or you can take advantage of the largest freshwater lake in Florida, Lake Okeechobee, featuring largemouth bass, crappie, and bluegill. 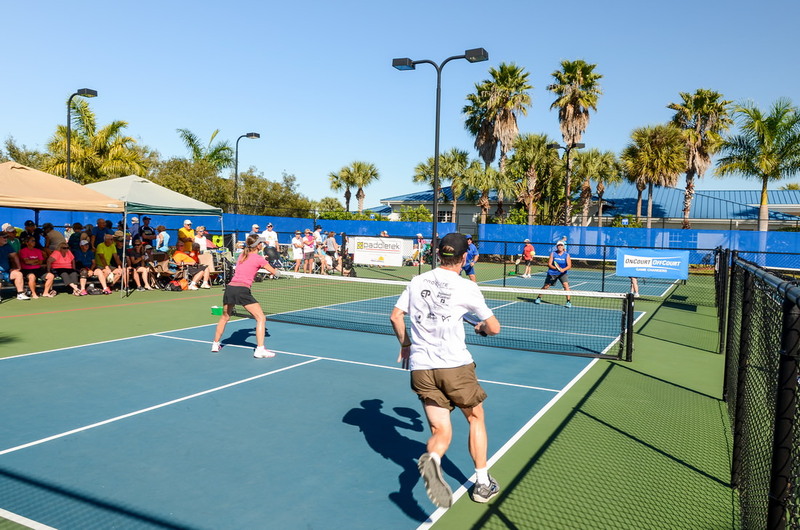 Enjoy a fun game of pickleball when you visit. 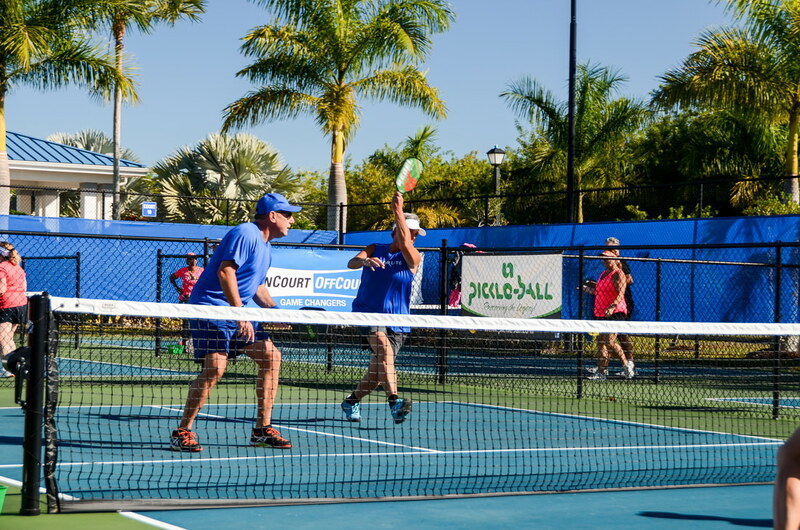 For sports enthusiasts, the opportunities to work up a sweat are countless as you hit our pickleball, basketball, bocce, shuffleboard, or volleyball courts. At Silver Palms, you’ll also find a packed calendar of daily and weekly activities. 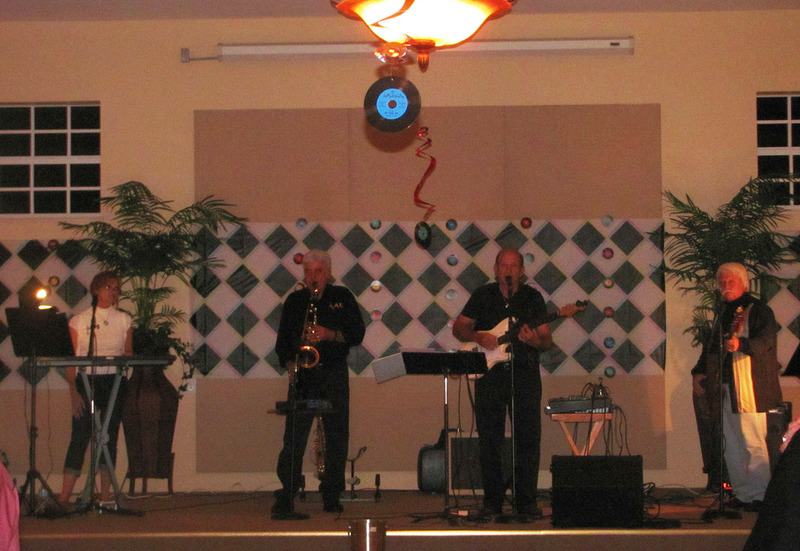 In our clubhouse, you can also enjoy weekly live entertainment, pool tables, and ample lounge space. But the seasonal fun doesn’t end at the gates of Silver Palms as there are countless things to do and see around Okeechobee. In addition to a variety of dining, shopping, cultural, and entertainment offerings, snowbirds can also take advantage of the area’s great golf courses or try their luck at the Seminole Casino Brighton. Equally, there are several special events worth checking out including the annual Okeechobee Christmas Festival, the Top of the Lake Art Fest, Taste of Okeechobee food festival, and the Annual Speckled Perch Festival and Parade, among others! 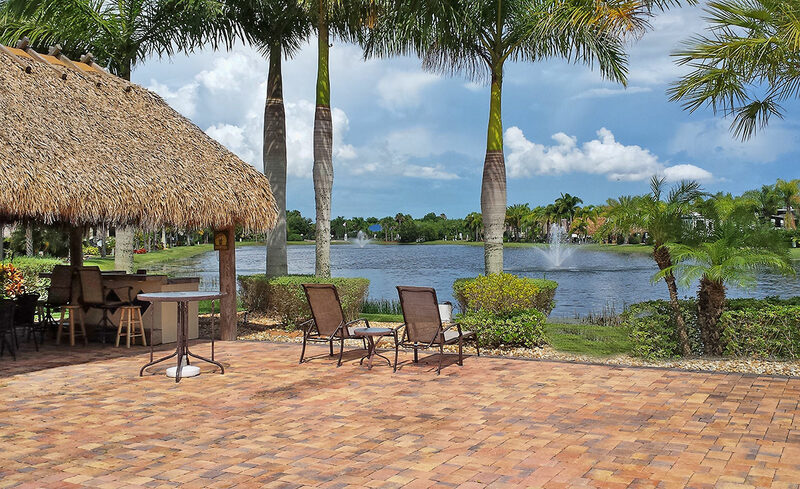 So instead of letting the fun in the sun slip away with summer, why not keep it going this snowbird season at Silver Palms? We look forward to having you join us soon, making one of our customizable RV lots or beautiful cottages your permanent home away from home!